At The Health & Wellness Clinic, we take great pride in providing the best in chiropractic, acupuncture, massage therapy, physical rehabilitation and functional medicine approaches. Our patients appreciate the convenience of our one-stop-shopping blueprint for optimized health and our collaborative approach to patient wellness. Acupuncture is a complete medical protocol focused on correcting imbalances of energy in the body. From its origin in China more than 2,500 years ago, this ancient healing modality is effectively used to prevent, diagnose and treat disease, as well as to improve general health. 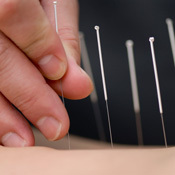 Acupuncture is carried out through the painless stimulation of energy points on the body by filament-like needles, helping to eliminate pain and optimize function. We feature laser lipo treatment for the removal of targeted body fat. We also can help to boost your metabolism through prescription aids provided by our medical staff. We provide our patients with customized rehabilitation plans through passive and active exercise options. Many of these exercises can be performed in the comfort of your home to add to the effectiveness of your chiropractic care. Functional medicine addresses the underlying causes of disease, using a systems-oriented approach. This science focuses on the whole person and not just an isolated set of symptoms. At The Health & Wellness Clinic we help our patients to regain their health through customized protocols that include nutritional counseling, herbs, homeopathic remedies and vitamin and mineral supplementation. We work hard to obtain your trust, and nothing makes us happier than to fulfill your health needs. 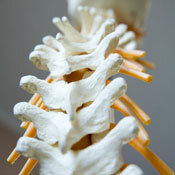 Make an appointment to see us today; we offer on-site X-ray imaging, late hours and Saturday office visits.